Modern offices and workspaces are becoming more complex at a rate that has never been seen before. As new technology is developed, businesses must constantly upgrade their systems to keep up with the market. Because of this, businesses need to be able to easily identify equipment within their inventory. 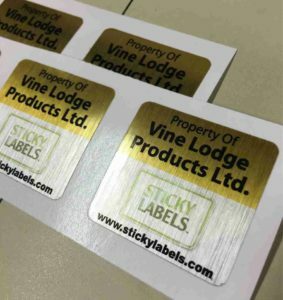 As a result, security labels are now in wide usage throughout the UK’s top businesses, with asset labels being particularly popular. However, these are not the only type of security labels that are in circulation. 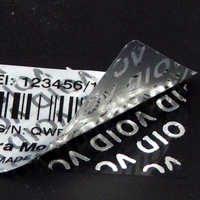 Tamper-evident labels are also extensively used for security reasons, as are holographic labels. This blog will take a look at the most commonly used security labels and explain why they are popular, but also why they are a necessary precaution to take. If you have worked in a busy office or building, you would have encountered these. Primarily, they consist of a barcode label and the text ‘property of’ followed by the name of the company. They are used extensively throughout the office sector, but also in hospitals and schools – basically anywhere that has a high footfall and lots of expensive equipment. The beauty of asset labels is that they can be made in a variety of styles, which means there are labels perfect for every purpose and environment. For standard offices, a regular sticker should suffice. For labs and kitchens, or anywhere with liquids, laminated or vinyl stickers will perform better, due to their waterproof attributes. For the expensive technology that may be targeted for theft, asset labels exist that will leave a print that says ‘void’ or ‘property of (owners name)’ in the scenario that the sticker is removed. There are also ultra-adhesive versions available, which are extremely difficult to remove, meaning that if equipment goes missing it is easy to identify. Furthermore, this diminishes the resale value of the item as people will be unwilling to purchase property that has clearly been stolen. 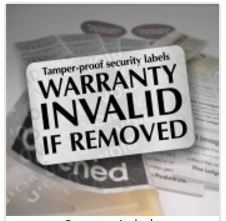 In a similar fashion to asset labels, most people would have come into contact with tamper-evident labels. These are the labels that most pharmacies and medicinal companies stick on the seals of their products. They are designed to break if the package has been opened or tampered with. This guarantees that the product contains inside is as the manufacturer intended, which is absolutely vital when it comes to medication – it means the product is safe, sterilised, and has not been sabotaged. In addition to this, tamper-evident seals or VOID Labels are also placed on DVD, CD, and computer game cases, as this reduces the temptation for their contents to be stolen. Another popular usage for tamper-evident labels is within technology such as mobile phones. Usually, they will be stuck on the phone and will break in the instance that the phone is disassembled. More often than not, phone manufacturers will include a clause in their warranty that prohibits tampering by someone who is not one of their own technicians. It is a simple solution that allows the company to guarantee that only trained professionals are examining and repairing their products. Holographic labels are more a seal of authenticity rather than anything else. They assure you that the product is the genuine article. Counterfeit products cost manufacturers millions of pounds in losses each year, so a relatively simple way to avoid counterfeiting is to place a holographic seal of approval on the product. Holographic labels are extremely difficult to replicate, and if they are, you can normally tell the difference straight away. This is because most reputable printers would not even consider producing counterfeit labels. It is illegal and could lead to costly legal penalties. It is clear to see why security labels are so popular within business and industry. They are a cost-effective and reliable solution for increasing security. Furthermore, they require absolutely no technical know-how or maintenance. You simply place the sticker on an item and you are done. In a time when security solutions are becoming more complex and rely on technology, the security label is still a popular tried and tested solution. On a psychological level, they deter theft and tampering, as they act as a warning sign, effectively stating ‘do not do it – you cannot get away with it’ to any potential wrongdoer. In the instance of suspicious or criminal activity occurring, security labels make it much easier for the situation to be resolved. Should a computer monitor go missing, a high-quality asset label will allow police to identify who the rightful owner of the item is. Furthermore, it makes the resale of stolen goods more difficult. Tamper-evident labels are useful for obvious reasons and are used in every industry, from medical to technological. Finally, holographic labels are used to prove authenticity and help to combat counterfeit goods. All in all, security labels are extremely diverse and are suitable for almost any situation.